You are here: Home / Just for Fun / Valentine’s Day, Shmalentine’s Day. We all know the day is a big ruse by the card companies to make more money. 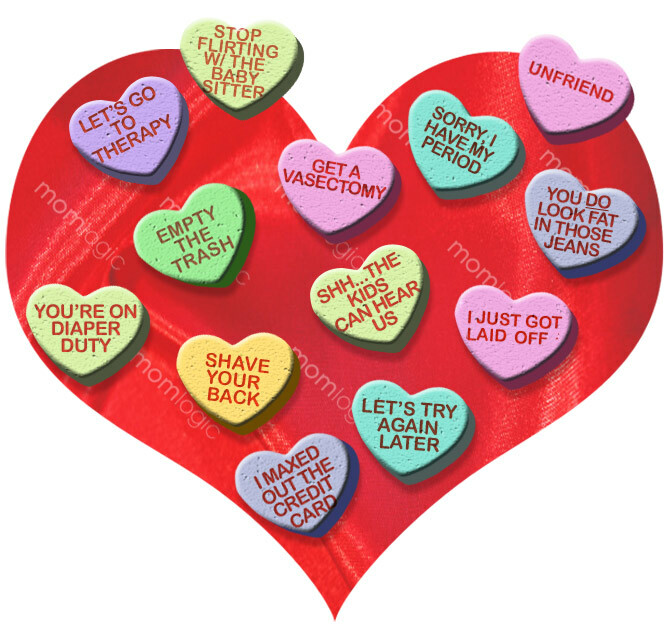 And then there’s the valentine Friendship cards that need to be written out for school. Since the kids in my son’s 1st grade class apparently have a hard time distinguishing between love and like, they’re having a Friendship Party. There are math games involved. Shoot. That reminds me that I need to crush some peanut-free pretzels for a healthy topping to their healthy sundae. Maybe the class can go on over to Occupy Valentine’s Day and raise awareness about the limited ways we think about romance. Or, you could just treat the day as another Tuesday. I’m getting my hair done. Not because I’m going anywhere. Just because I happen to have a hair appointment on Valentine’s Day. Since my husband is a CPA, I don’t see him much in February. There was that one time we spent Valentine’s Day with Breaking Benjamin. That was pretty cool. But, it’s been a while since I was excited for a Valentine’s Day. I guess I’m too old and too married for it now. How are you spending your Valentine’s Day? Indulge me. p.s. If Valentine’s Day really doesn’t go well for you, here’s how to change your relationship status on Facebook without broadcasting it to your friends. Visiting today from the Thursday’s Thoughts hop. Hey, that’s nice that your hubby enjoys the day. 🙂 Thanks for stopping by. I give my children little treats or gifts, because who doesn’t need a bit of extra cheer at this point in winter? My husband and I have never looked at it as a romantic holiday. Ginger Kay recently posted..Giving Up or Giving Out? I got my kids a few treats too. We’ve got a ton of candy! My hubby and I don’t do too much either.